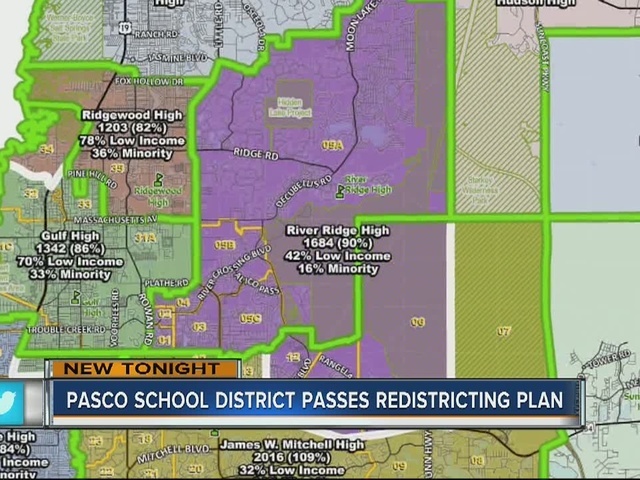 Thousands of Pasco County students are getting ready for a big shuffle as school leaders voted Tuesday to redraw multiple school boundary lines. School board members voted in three plans Tuesday night that will impact between 4,000 and 5,000 students, most starting in the 2017-2018 school year. Parents packed the school board meeting, forcing district officials to open up an overflow room. 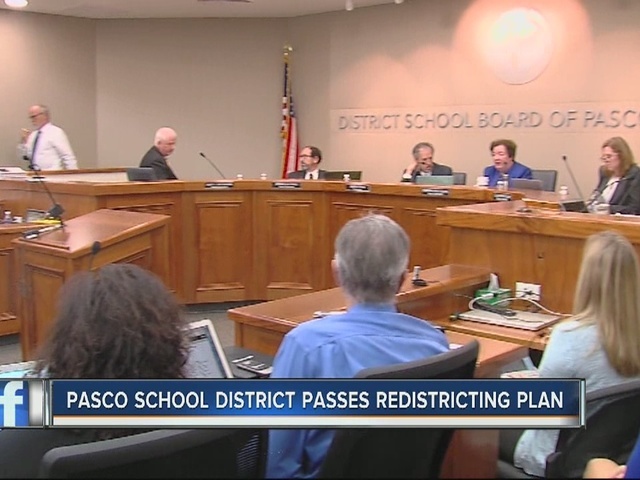 Amidst emotional and heated exchanges, parents and school leaders did agree on one point, the fact that there is no perfect solution to ease overcrowding concerns in the district, specifically in the rapidly growing region of southwest Pasco County. "It feels like we're being picked on," said mother Katherine Beckett. Beckett and her two daughters wore matching t-shirts to the meeting, urging school leaders to keep them at their school. But tonight's vote means they will have to transfer from Seven Springs Middle School to River Ridge Middle. "We literally have to drive past our school to go eight miles away, instead of two miles," said Beckett. "They just broke the neighborhood in half." Four of five board members approved plan 42A on the county's southwest side, which will go into effect next school year and option 13 for the east side. An additional four regions in the southwest will be shuffled starting in the 2018-2019 school year. About 700 students will be transferred from Seven Springs Middle and J.W. Mitchell High to River Ridge Middle and High Schools, 650 students from Wiregrass Ranch High and Dr. John Long Middle will be moved to Thomas E. Weightman Middle and Wesley Chapel High School, and about 2,400 students will join Cypress Creek High School over the next couple of years. Board member Steve Luikart was the lone dissenting vote, cautioning the board to wait and draw up best case, worst case scenarios for each of the recommended plans. The crowd erupted in a prolong cheer for Luikart after announcing he believes students should finish at the middle and high school they start at. "I can't live with myself with that, so I can't support what we're doing right now," said Luikart. Vice Chair Cynthia Armstrong echoed the sentiment from the rest of the board members. "We have to look at the total picture and it's heartbreaking to know that it is going to effect your family, your students." Caught in the heated crossfire of boundary talks and population concerns, young students outside the meeting say all that matters now is having to say goodbye. "I'm going to be separated from some of my friends," said Tristan Mosberg, a sixth grader previously slated to attend River Ridge High School, rezoned to attend Gulf High. "They've broke us, completely," said Seven Springs Middle student Chase Beckett. "My entire learning system is going to be completely wrecked."